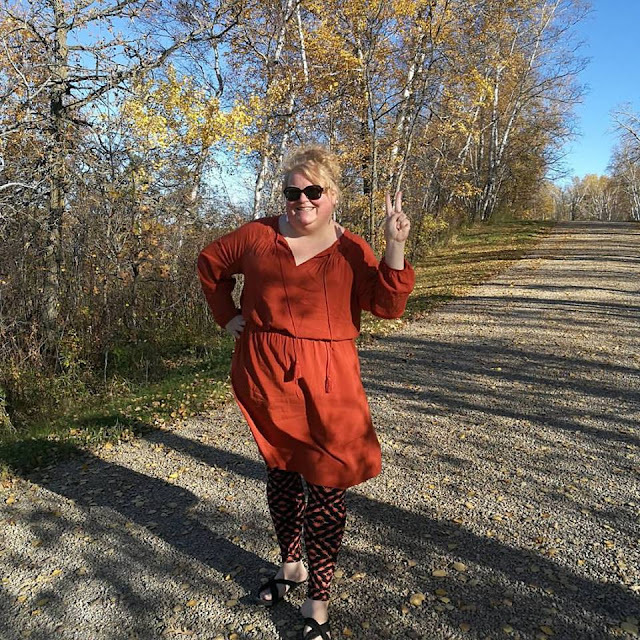 This past September I came back from my very first visit to the Legendary state of North Dakota. We only had 3 whole days to explore which is not even close enough for what you need to explore this vast state! 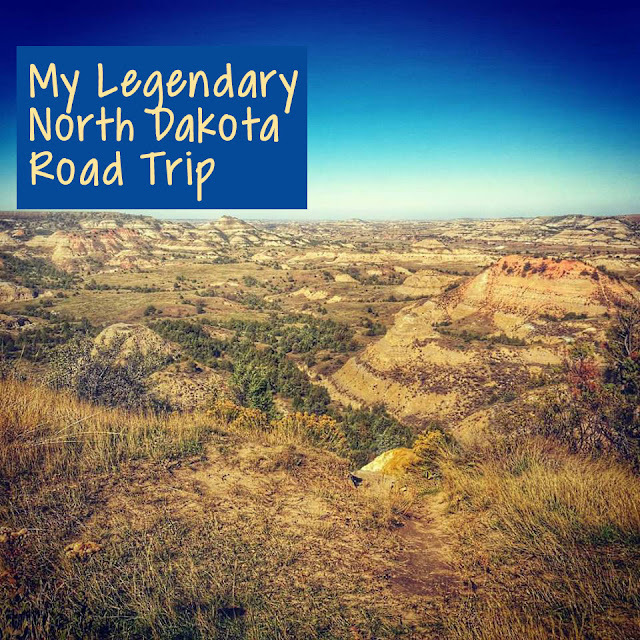 I can definitely say that North Dakota has lots to offer in things to do from festivals, historic sites, shopping, nature and also beer or wine tasting. We headed out to North Dakota and arrived late the first night so basically did a run to Walmart for rations since being gluten and dairy free I always carry stuff on me and of course we needed water for our road trip! We flew into Bismarck and stayed at the Expressway Inn not to far away. It may not be the Ritz but it had clean beds a nice shower and a micro-fridge. We woke up early and I mean early (we are pacific time and Bismarck is in central time) because we had so much to do this day! We headed out to meet a friend from the CVB at Kroll's Diner. It was pretty easy for me ordering gluten and dairy free items. Those who can eat whatever they want have many local German specialties for choices. Some of those menu items are a variety of fleischkuechle, and knoephla soup. After breakfast we headed out west on I-94 to see Theodore Roosevelt National Park (TRNP) which is North Dakota's only national park. As we drove out west the terrain definitely changed from flat with little hills to hilly and eventually to the badlands terrain that I had heard about. To go to TRNP we took the exit for Medora, ND. 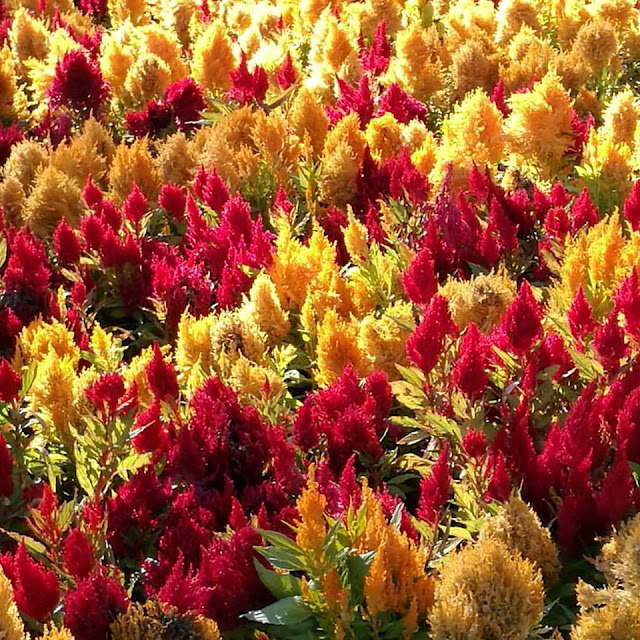 Medora is like stepping back in time. Everything was mostly shut down for the season but you can tell that this wild west town that Teddy Roosevelt lived in is very busy in the summer months. Medora is the main gateway into the south unit of the park. Because of time constraints we were only able to see the south unit and not the north unit. I have been to many national parks and have never experienced nature like I did in the south unit of TRNP. Besides the beautiful landscape and seeing the "Badlands of North Dakota" there was wildlife everywhere! We had wild horses next to our car, herds of buffalo crossing our path, wild turkeys, and even got to see huge prairie dog cities! TRNP is in my top five national parks that I think everyone should see. It was sad to leave but we were on a tight schedule and wanted to get to our destination for the night before it was too dark. We arrived in Williston, ND around 8pm after our long drive through the beautiful country side. One thing I miss by living in California is the beautiful sunsets over the vast prairies. I personally think it is under rated and absolutely gorgeous. Many people have heard of Williston from the news because it was the big oil boom town not to long ago. The town has seen probably the most growth any city in country has ever seen within a short amount of time. There are many new hotels, restaurants, and homes everywhere. We decided to try out Williston Brewing Company for dinner. The food is upscale bar food including their chicken wings that I absolutely loved. I had a salad and my husband had a burger all which were delish! After eating we needed to head to bed so that we could once again leave early in the morning to see all we needed to see! (Being a travel blogger is a lot of fun but a lot of work!) 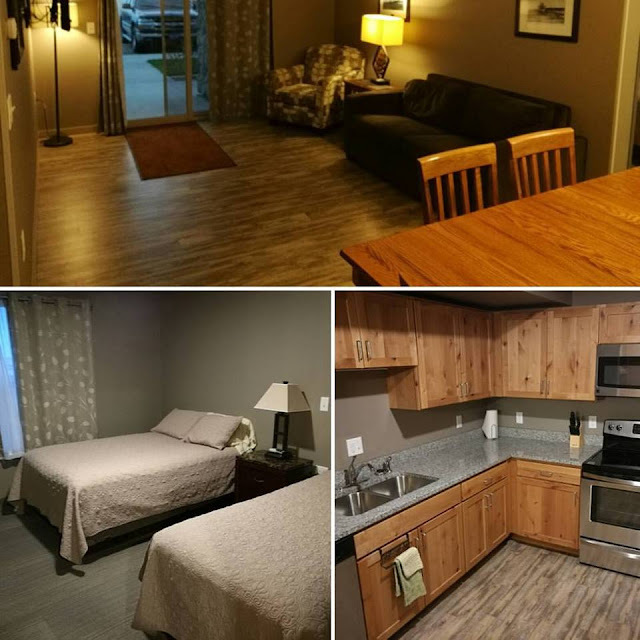 We stayed at the Home Place Lodge and Suites which was fantastic! We had a one bedroom suite which I loved because James had to get some work done and I need to rearrange luggage and get to bed without disturbing each other. Everything was very clean and I loved having the full size fridge to put my water bottles in so they would be cold in the morning. With all of our reorganizing the night before we were set to get up and go in the morning! On our way out of the hotel James picked up some breakfast from their breakfast room while I got some juice and fruit and we headed out. Our next stop was in the cute little town of Stanley, ND to go to Dakota Drug and get a Whirl-A-Whip from the last surviving machine being used. A Whirl-A-Whip is like a blizzard but even better because you can add any flavoring you want along with candy. I believe James chose a bacon with dill pickle flavor in vanilla ice cream. Sounds gross to me but he loved it. 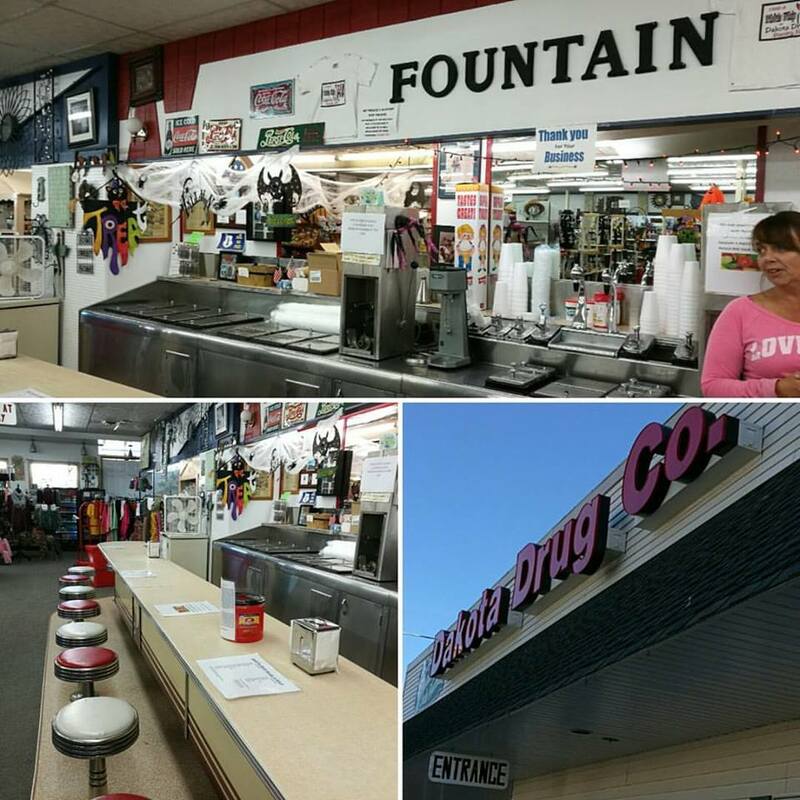 I love old soda fountains and they are so hard to find these days that when finding one you just have to stop! Dakota Drug where they still have a working Whirl-A-Whip and can create any flavor you want! Keeping on track with our itinerary and places we should see our next stop was a little winery called Pointe Of View Winery in Burlington, ND. This little winery claims it is North Dakotas first and has very tasty fruit wines, and meads. I learned that North Dakota is not a good place for grapes to grow but they have so many indigenous berries that is what the wine is made of. The winery also sells vodka that he makes and honey that his daughter collects. Not far away we stop in Minot, ND which for those of you who do not know is the hometown of actor Josh Duhamel and is on many of the new ads promoting the state. 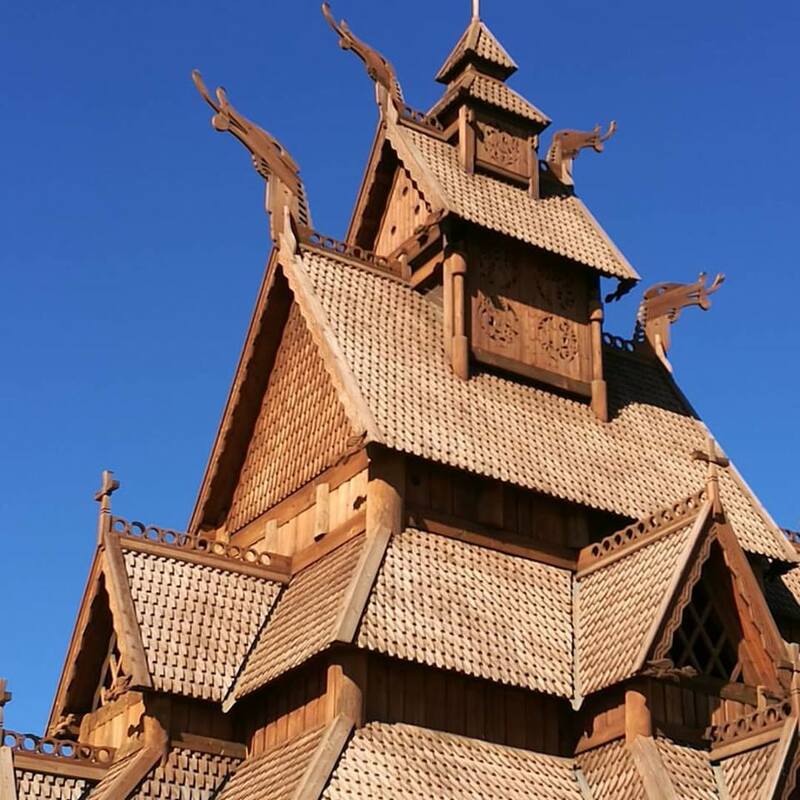 Minot, ND is know for its Scandinavian Heritage Park. The park is believed to be the only park in the world representing all five Nordic countries. They also have Norsk Høstfest which is North America's largest Scandinavian festival. Unfortunately, we had no time to stop but we were there the same week as the festival. People were telling us that people travel from all of the world to come to the festival. Before we left Minot we stopped at Souris River Brewing Company which is a local favorite brewery that my husband just loved as well. They had some good local cuisine as well. After eating , eating more, participating in wine and beer tastings, then eating again why not eat some more and have some fresh creamy ice cream at Pride Dairy in Bottineau, ND This time I had to try some of the chokecherry ice cream since the winemaker had peaked my interest earlier in the day. Being dairy free I was hoping it would not make me sick but I had just a little bit and it was yummy! It had this dry but hint of sweet flavor that mixed well with the creamy ice cream. Not to far from Bottineau is the entrance to the International Peace Garden. You have to actually drive through the customs stop on the states side and then the entrance is on your left side. If you are coming from Manitoba you will pass Canadian customs and the entrance will be on your right. This might be what purgatory feels like because you are really in between two countries! We decided to start on the "Canadian side" of purgatory first and drive around its scenic loop which was a tightly packed gravel road that went around ponds, and lakes. It was absolutely stunning! We then did the "USA side" of purgatory which honestly was not as pretty as the Canadian side! Whats up with that? It had a paved road with places to camp with your camper as well. Leaving purgatory we had to show our id's and assure the costumes officer that we were only in purgatory and did not enter "real Canada." Now we were headed to our next place to stay the night and drove past many small lakes, farms, and prairie grass. There was nothing around but very relaxing to me. We arrived at Woodland Resort in Devils Lake, just after sunset. Woodland resort is a great spot for fishing in any season along with water fowl hunting. They have a variety of lodging choices from family cabins, low end sleeping lodges and a brand new suites hotel. We stayed in the new suites hotel with a great suite that had two bedrooms each with their own tv and a common area which had a huge kitchen dining table and living room area. We also had a ground floor unit that had a porch with tables and chairs and a grill. I could totally see myself ice fishing if I had this room! They have someone who will drive you out onto the ice to your rented ice shanty and bring you back so you do not have to get that frozen. Winters in ND can reach -30 degrees easily. The resort also has a great restaurant called Proz Lakeside that I was able to order gluten free and dairy free items from! I even had a burger with a gluten free bun which is a big deal since many big chains do not even do that. They also told me I could have done a gluten free pizza crust! 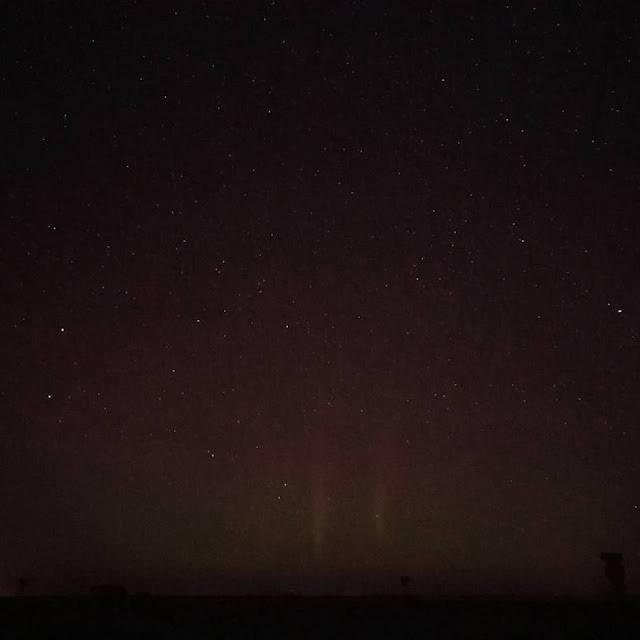 One last thing that we ended our day with was driving about a half an hour back into nowhere because we heard that by some oddity that we might be able to see the Northern Lights. We waited a while and saw little hints of it and then it came pretty bright for a little bit taking into consideration how far south we were! It was spectacular! I have never seen them before and I definitely now what to see them somewhere way further North! Amazing day! The best Northern Lights pic I could take with my cell phone! Amazing! Our last day in North Dakota had me wanting to extend our trip and explore more but I knew we couldn't so we had to make the best of our last day! We actually ate breakfast at a Taco John's because everyone raved about them. I was even able to do gluten and dairy free with some adjusting of menu items. I think if we had a Taco John's here is San Diego my losing anymore weight would be negative. It is a great fast food restaurant and I do recommend trying them. YUM! 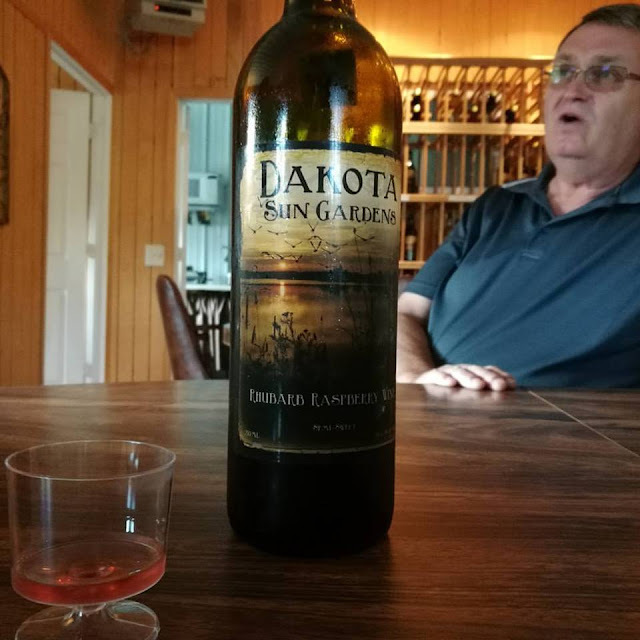 After having yummy Potato Oles we headed down to Carrington, ND to Dakota Sun Gardens which has wonderful wines and a very hospitable winemaker. I have another article that will be out shortly about my wonderful experience with him and his family on their farm so stay tuned! So skipping ahead to our next stop after spending hours at Dakota Sun Gardens and in a combine harvesting soy beans we arrived at The National Buffalo Museum which housed White Cloud an all white albino buffalo. According to the National Buffalo Museum "A bison can live in captivity on average 20 to 25 years. Because of White Cloud’s albinism, her life expectancy is unknown. Summer months are very hard on her. As an albino, she can’t regulate her body temperature as well in the heat. 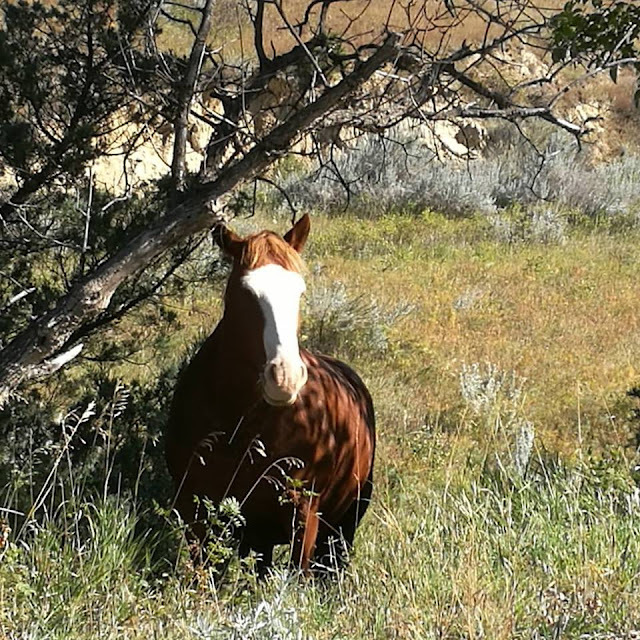 The individualized care that Shirek Buffalo can provide for White Cloud is in the best interest of her health and well-being." We also visited the frontier village onsite and the giant buffalo replica. The village is very cute with buildings that have been moved in from all over to create the pioneer town. Definitely a cute place to visit! We headed back to Bismark so we could to leave in the morning. We were sad for such a visit to North Dakota and can not wait to come back. There are so many things to do and see and we only scratched the surface.